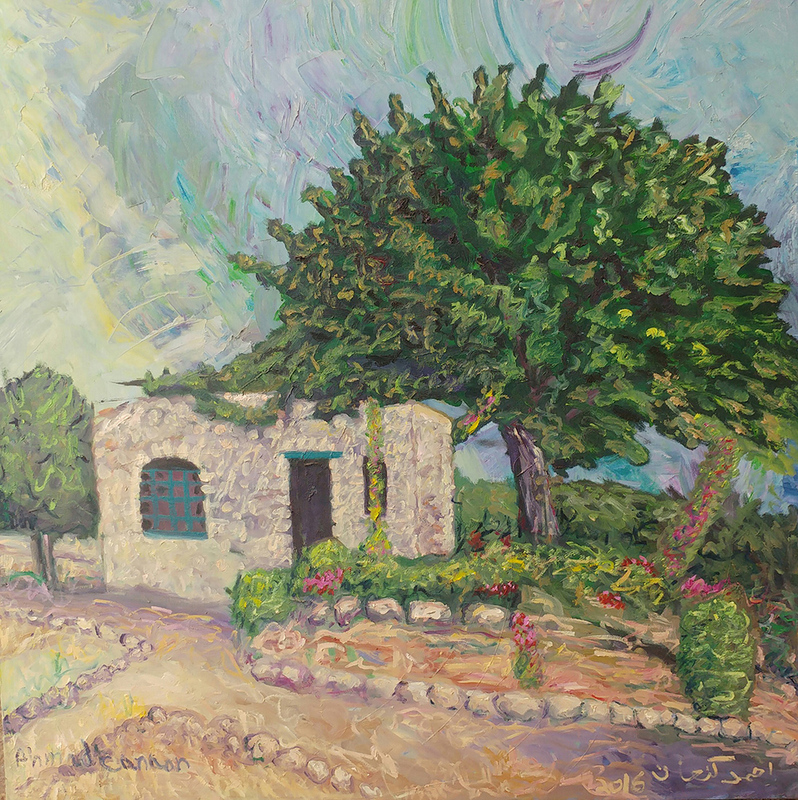 The artist displays his strong connection to the land and the rural environment in this portrayal of a flourishing carob tree dominating a small agricultural residence. Ahmad’s impressionistic style is evident in his use of short brush strokes and the bright, varied shades of colour in the sky. A former student of the Bezalel Art Academy and a leading figure in the Palestinian art scene, Ahmad Canaan is a painter and sculptor whose work appears in many public areas and museums throughout the world. A resident of the village of Tamra near Acre, his work is inspired by the beauty of the Galilee landscape and daily village life, but also reaches out to touch on political and social aspects in a search for greater understanding between peoples.